In addition to these efforts, key improvements to our district-wide building infrastructures also took place over the summer and will continue during the year. Your Measure J facility bond dollars have been hard at work with 93 classrooms and buildings across five of our school sites receiving new roofs. This $3M project has eliminated leaky roofs, improved climate control and comfort in the classroom, and restored protection of our school structures. This summer also saw the completion of our major energy efficiency project. LED lighting was installed across the district and air conditioning units were replaced at Nordhoff, Matilija, and Topa Topa. In addition to reducing necessary repair and maintenance costs, this initiative is projected to reduce the District’s electrical bill by more than $80K per year, critical savings that will be reallocated to fund other basic budget needs. Another major campus improvement will include the modernization of the Nordhoff Library. This multi-million dollar project will start this fall and convert this dated space into a 21st Century Technology Media Center. Upgrades and enhancements include expanded space, new laptops and audiovisual equipment, small breakout study rooms, moveable furniture to adapt to study and tutorial needs, and more. Inside our school classrooms, elementary students will experience the smallest class sizes and fewest number of combination classes the district has offered in more than a decade. Also, students and parents are likely to see a few new faces on our campuses this year, as we celebrate the hiring of 11 new teachers and seven new classified staff. We also look forward to making many special memories for this year’s 5th graders who will be the inaugural sixth-grade class at Matilija Middle School next year. Likewise, this year brings excitement for the administration and staff who will be preparing for the middle school transition throughout the year. Andrew “Andy” Cantwell was appointed superintendent for the Ojai Unified School District effective August 17, 2017. He joined the district in May of 2015 serving as the Assistant Superintendent of Business and Administrative Services. In that role, Andy oversaw the Business and Administrative Services division, which was comprised of Business Services (accounting, payroll, and purchasing), Classified Human Resources, Child Nutrition Services, Maintenance, Operations and Transportation, Risk Management and Technology. These departments are engaged in a wide variety of services in support of the district’s educational goals. 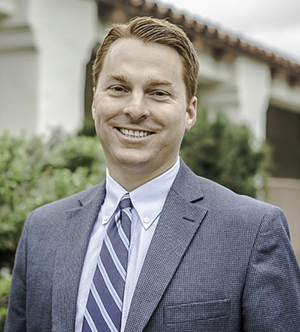 Prior to coming to Ojai Unified, Andy worked for the Santa Barbara County Education Office first as the financial services manager for the special education department and most recently as the director of classified human resources. Andy brings a strong background intersecting finance and compliance having worked in the private sector as the manager of internal audit for a multi-billion dollar national retailer. Andy grew up in Moorpark and remembers fondly “away” youth track meets and basketball games at Nordhoff High School. He graduated from UCLA and returned to work in varied capacities for Moorpark Unified School District. He received his Juris Doctor and Master’s in Business Administration from Washington University in St. Louis. While attending law school, Andy interned for then-State Superintendent of Public Instruction, Jack O’Connell, in his Government Affairs division at CDE. Andy is married to Heather (also from Moorpark). They have two young children: Christian and Chloe. Immediately upon moving to Ojai in 2015, the Cantwells fell in love with the Valley – its natural beauty, culture, and community.